Observation - Swan Goose - UK and Ireland. 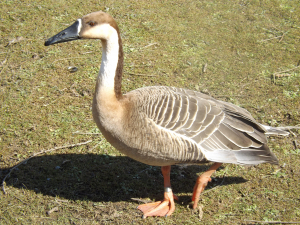 Description: Individual seen in vicinity of ponds within Llanelli WWT's site - part of the conservation programme. Individual seen in vicinity of ponds within Llanelli WWT's site - part of the conservation programme.